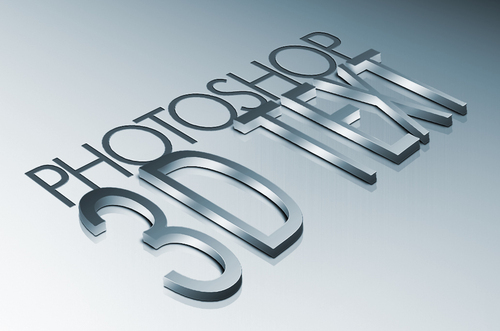 To make a Stunning 3D Text in Photoshop, write something on 3D, so I write ICE. Also need Xara3D but if you don’t have, no tension just writes as your wishing font. Through using wand magic tool select the face of font. Copied it one for backup of 3D text copy and another one for 3D text blur.Now create a new layer group and rename it as a text effects. Then change blending option to color dodge. Don’t disturb to other layers. Go to inside the new layer group. Create a new layer with flick of the wrist. Apply the filter as following Filter > Render > Clouds. It gives a awesome effect and puffy consistency. Create another group and dropping it below the group in palette, and named it colors. Now add the soft light to the image. And draw a soft edge glow and sprinkle of pink. Here we will see the cloud of pink. It’s looking cloudier but don’t worry. Repeat the previous step with two colors and obviously in different place. For a most secret effect we will use the 3D text blur. Through selecting apply Gaussian blur with 13 pixels. Go to Filter > Blur > Gaussian Blur. Then have to show creativity. Add new layer on the text effect group and above the cloud. Through using cool brush and trace it around the writing letter. It shows as like sparkle. Go to another new layer between two groups. Use the gradient tool then select white color and holding down the shift key. Now drag gradient tool from outside. And place it into the image middle. We need new layer into the group and named it Lights. Ctrl + Click to the 3D text layer into the layer palette, using the custom abstract brush paint into the new selection. Then use a large brush to get the final effect.